Post-partisanship may very well be a pipe dream. However, the idea of it is in Obama's DNA. It's who he is. He is innately pragmatic. He will always seek consensus as a first course of action. As a voter, if that approach is anathema to you, he's not your candidate. On the other hand, if you're tired of doing the same thing over and over again, expecting different results, you might want to give it a try. Roll those dice! as Bill Clinton would say. Only partly on topic, but Robert Harris' _The_Ghost_ is a delicious takedown of Tony Blair. Thanks for these links, Lance. I've been thinking that the endorsement of the Kennedy clan might have its down-side and these articles help me understand what it is. I was mostly thinking that the Kennedy aura has been besmirched by a lot of drink, drug, and womanizing in the years since Camelot. Also I'm enlightened by Taylor Marsh's term "romantic." (Echoed by Roz's "break your heart.") It helps define what it is that makes me uneasy about the Obama mystique. Maybe it's just the difference between youth and age but I worry about these rose-colored glasses. What happens when we see what's really behind the curtain? Even though I fall into Clinton's demographic, I would be persuadable by a credible opponent. Obama isn't persuading me. He's pushing me toward her. Edwards was persuading me but he quit before I got a chance to vote for him. Trying something different? The last two Democratic presidents were centrists, centrist to the point of compromise beyond compromise, and they were victims of unrelenting partisan attack. This is why some of us think of this as something more than hopeful thinking, and more like historical self-delusion. Being "post-partisan" to the marrow isn't going to effect change by Vibe Attack, and that "business as usual" over the past thirty years has, on the Left, been a matter of fighting desperately to hold onto things like reproductive rights, the social safety net, economic fairness and environmental responsibility. It doesn't seem too much to ask which of these is supposed to be sacrificed on the altar of Feeling Unity Fresh. The thing that hasn't been tried in that time is a straightforward progressive alternative to the utter disaster of Republican partisanship. So no, in that sense, Obama is not the "candidate for me". Which is nothing new to me, I'm just surprised under the circumstances how casually my vote could be tossed aside for the sake of a trendy slogan. "The last two Democratic presidents were centrists, centrist to the point of compromise beyond compromise, and they were victims of unrelenting partisan attack." -- Kinda like being before the war before he/she was against it? -- Like "yes" on Kyl-Lieberman? -- Like introducing a bill that would make flag burning illegal? Exactly Lina. The Hillary supporters can confuse tactics with policy all day long, but at the end of the day they are both near the center. Obama is a LOT better on foreign policy and executive power (plus things like the broadband spectrum). Hillary is considerably better on healthcare and appears more willing to get down in the mud and slug it out with St. John should the opportunity present itself. Both would be a huge step forward on the environment. Both have major backing from the corporate sector and traditional elites. Like tdraicer, I was a Gore supporter first, then a [somewhat reluctant] Edwards supporters. Edwards was still the only person in this campaign actually talking issues and solutions, rather than the past, the buzz, or personal attributes. 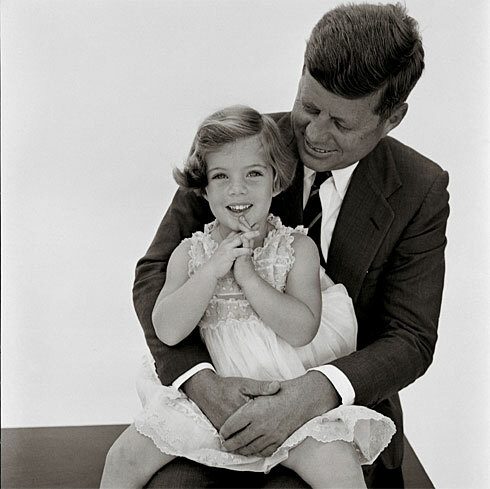 I was taken aback by Caroline Kennedy's OpEd, comparing Obama to her father. First of all, I don't get that vibe. Second of all, despite Camelot, and despite how exciting and romantic it was to have a young, handsome, idealistic Democrat in the White House: Bay of Pigs. Cuban Missile Crisis. Escalation in Vietnam. Third of all, in the current political and media climate, even JFK wouldn't get to be JFK. Fourth of all, with the godawful mess that the 44th president is going to have to go in and clean up, idealism alone won't hack it; he or she is going to have to know the system inside out and how to work it. I don't want Hillary; don't get me wrong. But if the race comes down to the two of them (I kinda hope Edwards is still on the ballot on Super Tuesday; was there time to remove him? ), then I'll probably hold my nose and vote for her. I also think that she has a better shot at defeating McCain than Obama does; if Romney or Huckabee had been the nominee I'd feel better fielding Obama, but McCain will appeal to the scared kiddies who want a strong Daddy and lord have we already seen how well that works. What my best friend James noted, however, was the misogyny of Kennedy endorsement. He believes Teddy maneuvered Caroline to go first, and then followed on her tails, because a Kennedy would never give real power to a woman. I'm just quoting; I don't know for sure. The Kennedy endorsements will have no effect. Obama won't even win Massachussetts. Tactics matter--Obama's tactics are going to hamstring the chances to get universal healthcare. Because he's playing with Republican ideas, he's strengthening their hand when they will oppose the healthcare legislation that will come up next year in a Democratic majority Congress. Look, the war is a terrible mistake, with terrible consequences, especially for the 1 million servicemembers who have cycled through Iraq. But 40 million people go without health coverage, and bringing them into the system will reduce the number of bankruptcies, reduce the number of ER visits, and free up some people to change jobs/start new businesses. Getting progress on healthcare is at least as important as getting out of Iraq. They were talking about endorsement splits within family dynasties, and Keith Olbermann asked Howard Fineman about Charlie Rangell’s wife endorsing Obama. Fineman said (something close to), “That’s Charlie Rangell covering all bets. He came out for the hometown girl early on. Now he recognizes Obama’s strength, and probably the fact that most of his Harlem constituents are going to vote for him. Alma would never endorse anyone without Charlie’s agreement. They are a tight team.” - I felt so stupid! Of course they decided together. This makes RFK’s family even more interesting - and I think it's RFK Obama more closely reflects. Bobby, Jr. endorsed Hillary a while back (and wants to run for her Senate seat if she leaves it); yet on his radio show, he speaks highly of Obama and Edwards. Today, here in CA, we started getting ads for Hillary – aimed at Latinos, invoking Chavez and RFK and narrated by Bobby, Jr. And on the same day, both Ethel and his sister Rory came out with public essays endorsing Obama. Ethel: "Barack is so like Bobby." Well, she would know better than any of the children, wouldn't she? When has an election been more interesting than this?! Better even than the movies, Lance.